Many fish tank owners like to decorate their aquariums, even picking out themes and including toys such as castles or treasure chests – but are these important for the fish and the environment or are they just to please the owner’s eye? 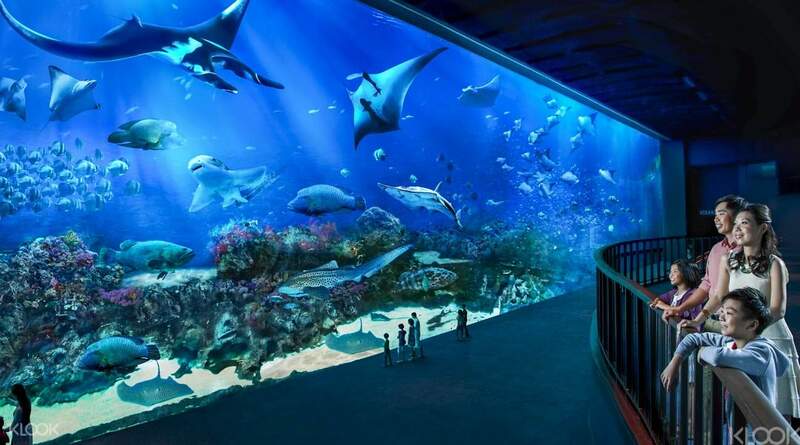 If the idea of an aquarium is really about keeping fish then surely decorating a tank with fake castles or some kind of theme, is just to indulge the owner and does little to support the aquatic life within the tank? Actually, it has been shown that adding decorations and toys into the tank not only make it look more attractive but it does provide benefits to the fish as well. It gives them places to hide and escape to, like they would in their natural habitat. Putting toys into tanks such as the plastic castles, shipwrecks or treasure chests helps to vary the environment and gives the fish a vital escape route. Fish need to hide when they get stressed out – this can be from any number of causes such as someone knocking on the glass, too many faces watching them, other fish can cause stress by fighting or being territorial. All of these issues mean sometimes fish need to hide away and recover. Providing toys and decorations gives fish essential dark spaces in which to relax and escape the source of their stress. The other reason they are important is they also provide a safe place for your fish to lay their eggs or bear their young. In fact, having a tank with fish, that have no place to hide when they get stressed, will have a detrimental effect on their health, so toys within an aquarium have a vital role for the fish as well as making the tank look more attractive for humans. When it comes to taking care of your fish, aquarium toys really could be an essential part of your tank. So what kind of toys should you include in your fish tank? It is important to choose toys which will be of use to your fish and generally, only one fish will use each hiding place, so you need to create several and make sure they are the right size for any of your fish to swim inside. You need to make sure the entrance is big enough for your fish to get in and out of easily – you do not want any of them getting stuck. You can either buy ready-made plastic decorations for this purpose, or you can use natural materials like wood and rock to create hiding spaces within your tank – or perhaps a mixture of both. If you are tempted to put lots of toys in your aquarium to fit your theme, such as figurines, or any other type of toy which looks nice but doesn’t provide a hiding place, then that’s fine, as long as you make providing hiding places the first priority. If your tank isn’t big enough to hold the decorative pieces and the hiding places, then you must make the hiding places the first thing you set up for your fishes’ health. If you decorate your tank with lots of pretty figures but no place for the fish to escape, they will become stressed and unwell. Decorating your tank with toys, particularly those which can hide the aeration tube so they look like they are blowing bubbles, can be pretty but having sick fish will make your tank very unappealing so make sure you put the fish first. The other important thing to think about when planning toys and decorations for your fish tank is space. Fish need space to swim freely as well as places to hide. If you clutter up your tank with too many toys and decorations, your fish won’t have the swim space they need. Your ideal balance would be to have a minimally decorated tank, with plenty of swimming space and one or two accessories which provide safe hiding places – for the fish, having lots of themed accessories is not beneficial. They need space to move and space to hide away in – so as tempted as you might be to use your fish tank to create some kind of arty landscape with lots of figures and toys, remember it’s not you that has to live in there. The smaller your fish tank is, the fewer toys and decorations you should include in it as swimming space then becomes premium priority for your fish. While part of the fun of owning a fish tank is designing it and buying things for it, you need to bear in mind that it has to be a suitable living space for your fish. If your interest lies more in creating some kind of aquatic designed garden, with lots of ornaments and items, then perhaps consider an aquascape tank without any fish in it at all. That way you are free to create your underwater world exactly how you want to. Why Do You Need To Buy Instagram Followers?